Rick Mogg, a long serving member of 9 Parachute Squadron passed away on Thursday 25 February after a four year battle against a painful progressive illness. Stories abound about Rick's "activities" both legal and not so legal. 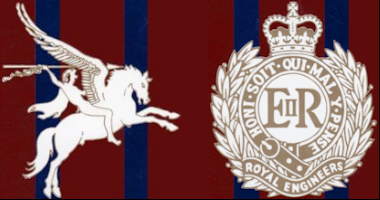 He joined the Army as a National Serviceman in 1948/49 and soon showed a talent for swimming and later as a prop in the formidable front row of the Squadron rugby team of the sixties and seventies. Before his enlistment he had been invited for a trial for the England 1948 Olympic swimming team. On that occasion he was not successful but did go on to represent England in other international events. With his tremendous upper body strength he proved to be a valuable asset to the Squadron water polo team during their tour in the Canal Zone where he teamed up with Lt John Hooper and one of his other great friends Denis Scott. The team had developed their own strategy of attacking their opponent's goal, (unknown to other teams) that they were able to overcome much larger numerical teams to take the Canal Zone Water Polo trophy of 1953. Rick also became a master of the "skulduggery" that went on under the water as much as that on the surface during the matches. Of his prowess on the rugby pitch he was formidable as a prop in the front row. Lt Jerry Taggart played behind Rick in Corps matches and was convinced that had he not been so preoccupied with his other "weekend commercial activities" he would no doubt have been picked up by any one of the senior clubs of the day and possibly go on for selection at the very highest level. As a young officer twenty year old John Moss remembered his first acquaintance with Staff Sergeant Rick Mogg and Jim Middlemass, the Troop Sergeant, when he joined Park Troop in 1968. What better start could a young officer have to his Army career!! John remembers Rick as "commercially astute" as well as being a great airborne warrior. He taught me a lot about how to operate the plant machinery and with the guidance of Rick and Jim over those early years they proved far more useful to me than any amount of courses in business risk management or corporate strategy!!! Throughout his final years, when his mobility was severely restricted, Rick was lovingly cared for by his wife Ann. Ann unfailingly ensured that Rick was able to attend AEA Branch functions and all who saw her had the greatest admiration for her devotion to Rick during this difficult period when he needed constant attention. Following his move to Basingstoke hospital, Ann was a regular visitor who was greatly admired by the hospital staff for her caring attitude. By now Rick will have met up with his three other great friends from the Squadron: Denis Scott, Charley Edwards and Jim Middlemass. 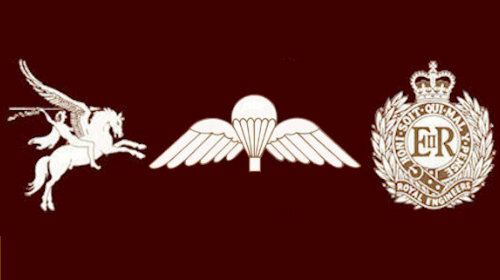 It is doubtful that any other unit in the British Army could possibly have four "unique" characters on their Regimental/Squadron roll at the same time and for so many years. They will be remembered for many years to come.